Belgian physician and author Jan Kersschot has written this book as an initiation into a new way of seeing, into the recognition that being concerned about life is not the practical defensive stance we have to accept as necessary to advance in the world and to survive. Likewise, the simplicity of everyday life is not the negative we’ve been taught to avoid, but an entryway into the “open secret.” Kersschot gives easier access to what Zen Buddhism, Taoism, Vendanta, and Tantra all describe, with a writing style that’s direct, compelling, and requires no religious or philosophical touchstones. He moves the reader “beyond effort, belief, and path into a new perception,” as author Tony Parsons says. 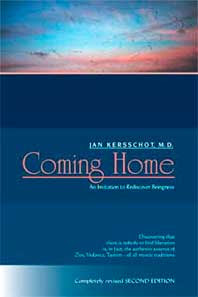 Dr. Jan Kersschot obtained his medical degree from the University of Antwerp. As his interest in the nature of appearances deepened, he studied the written traditions worldwide and also sought out leading teachers in the field of nondual spirituality. Deepening insights lead to the writing of several books in the field. He also is the originator of the healing technique of Biopuncture which he has taught to professionals internationally. Not Nice picture of that MD..... He has nothing better in one of his drawers ?